In an emergency, it's important to be prepared. While five or ten gallons of gas will get your generator started, you'll need more to get you past the finish line in a multi-day outage. In the event of such a major power outage, like those that result from a hurricane, gas stations become overcrowded and may run out of available gas rather quickly. Having a stockpile of fresh gas will guarantee you power and peace of mind, and you won't have to fight panicked crowds for the last few tanks available. 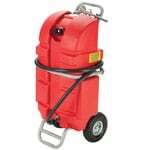 A portable generator holds 5 gallons of gasoline. This will restore power quickly. However, you should take some steps to ensure it's ready to go when disaster strikes. 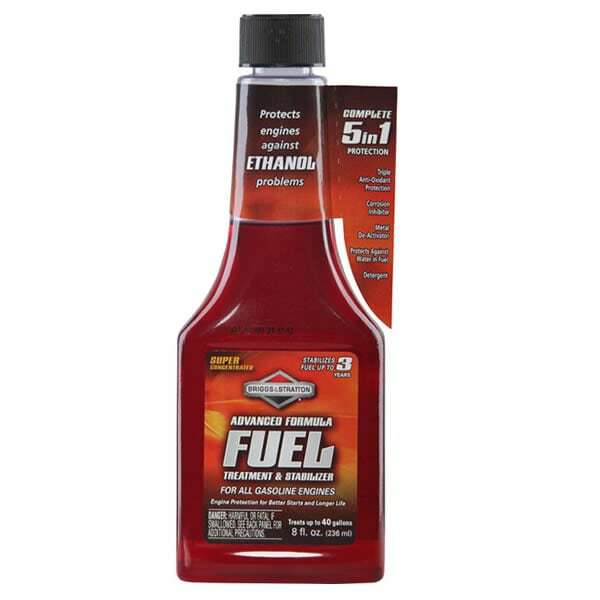 Add fuel stabilizer to your generator's tank. Stabilizer prevents gas from gumming up while it's stored. Close your generator's fuel shutoff valve and run your generator engine dry of fuel to prevent old gas from gumming up the carburetor. 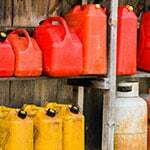 While you probably have a 5-gallon gas can already on-hand, you'll want more than 5 gallons in a disaster. Storing more gas requires a larger gas can. You'll want at least 25-30 gallons of gas on-hand in the event of a power outage. Investing in a 25-gallon fuel tank with a convenient siphon for fueling your generator's tank will prove very beneficial. Be sure to add a couple of ounces of fuel stabilizer per 5-gallons of fuel prior to filling the tank with gasoline. This will ensure your fuel stays fresh for up to a year. For a 25-gallon tank, you'll need approximately 10 ounces of fuel stabilizer. When it comes time to refuel your portable generator, you'll need to take some precautions. Never attempt to refuel your generator while it's running. When your generator has been running for a while, it'll be very hot. You should always shut down the generator and let it cool completely before refueling. Spilling gasoline on the hot engine can cause it to ignite, as gasoline is extremely flammable. Do not smoke or introduce sparks or flames near your gasoline while refueling, and be sure to use a pour spout or funnel when refueling. While the tank may be cool enough to refill, some parts of your generator's engine may still be hot enough to ignite spilled gas. Use a static-free siphon or funnel when refilling to avoid static electricity from igniting the fuel, and pour it in a slow, controlled manner. While you're storing dozens of gallons of highly flammable fuel, you'll want to make sure it stays cool, fresh, and depressurized. A tank of fuel left in the hot sun can be dangerous. Keep your fuel tanks stored in a garage or shed, in a well-ventilated area. Be sure your tanks are not in direct sunlight, and keep them away from any other sources of heat, such as space heaters and your vehicles' exhaust pipes. Periodically, inspect your storage tanks for pressurization. If the tank appears to be ballooning out with gas fumes, carefully remove the cap and allow the fumes to escape. 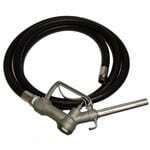 This will keep the pressure in your fuel storage tank at a safer level. Again, beware of static electricity. Do not store your gas tanks or cans on a carpeted surface or any other surface that could create static. Storing your tanks on a wooden shelf or table, or in a flammable liquids storage cabinet will help prevent problems with static electricity. When gasoline sits too long in the carburetor, it turns to varnish and gums up. 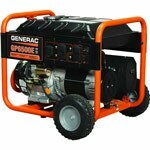 This will cause starting problems, among other possible issues with your generator. As previously stated, it's important to use and replace your gasoline storage once per year to make sure you have fresh, ready fuel on-hand when it's needed most. But without fuel stabilizer, your gas will go bad after a couple of months. Unless you want to be cycling out that gasoline every couple of months, stabilizer is necessary. A 10-ounce bottle of stabilizer will keep 25 gallons of gasoline fresh for a whole year. If you double the dosage, it can stay fresh for up to two years. So don't skimp on the fuel stabilizer and you'll have nothing to worry about. Expert advice on how to prepare for an emergency by stock-piling gasoline to power your generator once the electricity is out. Hurricanes and storms cause power outages, sometimes for days, so it is important to have a backup gasoline supply to keep your generator running and your lights and appliances on.